Tangy cherry? Rich “grape-y” burgundy? Luscious blueberry? Those sound like wonderful flavors … for snow cones. But cigarettes? 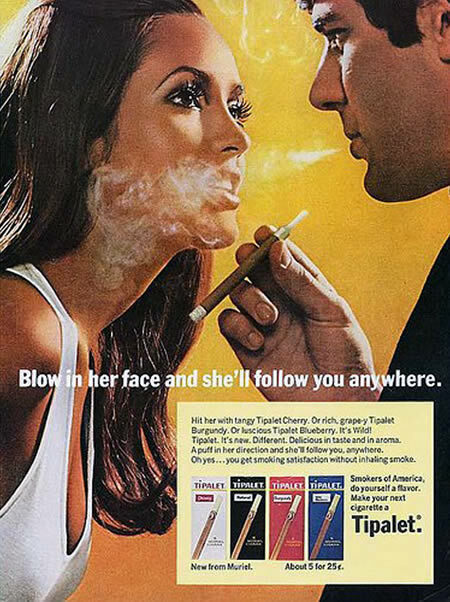 Something tells me this is an old ad. I tried it and it works! Thanks smoking ad!